Cities in Asia, Europe and Africa are the most expensive places in the world for expats employed by international companies, led by Hong Kong, new research has found. The annual global cost of living survey from Mercers also looks at the changes ahead for expats and employers, suggesting that mobile talent is likely to be increasingly important. It says that in an era of digital technology, aging populations, skills shortages, and unpredictable political and economic contexts, the landscape of global business is changing as are jobs that are critical for the future of work. As a result, multinationals are embracing this transformation by focusing on mobile talent but factors like the instability of housing markets, low inflation, and fluctuating prices for goods and services are impacting the cost of doing business in various cities around the world. 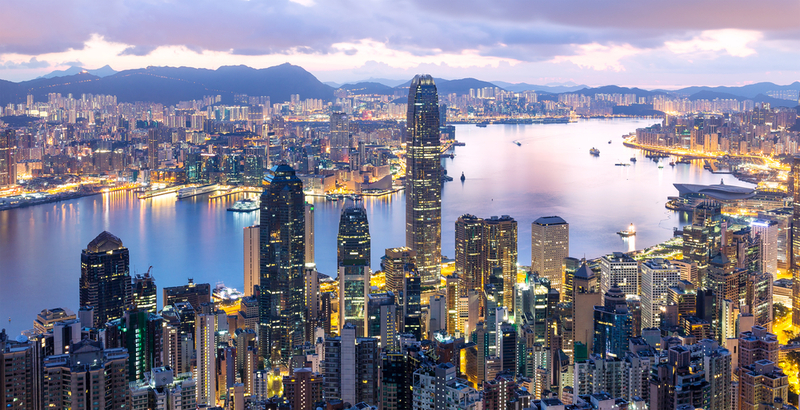 This year Hong Kong has passed Luanda to take the top spot as the world’s most expensive city for expats. In second place is Tokyo, then Zurich and Singapore. This means that four out of five of the world’s most expensive cities for expats are now in Asia. ‘With technology advances and the importance of a globally connected workforce, deploying talent remains a key component of a multinational’s business strategy,’ said Ilya Bonic, president of Mercer’s career business. ‘While a mobile workforce allows organisations to achieve greater efficiency, utilize top talent, and be cost effective with international projects, volatile markets and slowing economic growth in many parts of the world require them to carefully assess expatriate remuneration packages,’ he added. In fifth place is Seoul, followed by Luanda, Shanghai, N’Djamena, Beijing and Bern while the least expensive cities for expats are Tashkent, Tunis and Bishkek, according to the survey of 209 cities which compares the cost of more than 200 items including housing, transport, food, clothing, household goods and entertainment. Cities in the United States have dropped in the ranking due to a steady pickup of the European economy, which triggered a decline of the US dollar against other major currencies worldwide. New York is ranked at 13, San Francisco 28, and Los Angeles 35. While in South America, São Paolo at 58 ranked as the costliest city, followed by Santiago at 69. Two European cities are among the top 10 list of most expensive cities with Zurich remaining the most costly European city, followed by Bern while Geneva fell four places to 11 this year. However, overall Western European cities have all risen in the rankings, which Mercers says is a result of strong local currencies against the US dollar and the cost of goods and services. In particular, cities in Germany experienced some of this year’s biggest surges in the ranking, with Frankfurt at 68 and Berlin at 71 jumping 49 places and Munich 41 places to rank at 57. In the UK London was up 10 places to 19. Tel Aviv at 16 continues to be the most expensive city in the Middle East for expats, followed by Dubai at 26, Abu Dhabi at 40, and Riyadh at 45. Cairo at 188 remains the least expensive city in the region. ‘On the whole, most Middle Eastern cities have dropped in the ranking, due to decreases in rental accommodation costs throughout the region,’ said Yvonne Traber, global mobility product solutions leader at Mercer. Australian cities have fallen in the ranking this year. Brisbane now at 84 and Perth at 61 dropped 13 and 11 spots, respectively, while Sydney at 29 is Australia’s most expensive ranked city, but was still down five places. ‘Cities in other countries moved up in the ranking, causing Australian cities to drop. In general, cities that fall in the middle of the ranking are at greater risk of experiencing significant changes in their positions due to the movement of other cities,’ Traber added.